Mega Hair transplant is a very common procedure these days. To do hair graft about 1500 is not difficult nowadays problems comes when the requirement is above 3000 grafts and the procedure is not planned correctly. In our centre Dr. Gambhir is doing mega hair transplant for 15 years and has done thousand of cases he believe the good result is decided on your planning. When a person has a requirement of grafts more than 4000 then the counseling becomes important for one must understand the donor site is limited and there should be no wastage of grafts. In our Centre Dr Gambhir is doing both FUT and FUE with good results. We are taking the advantage of both the technique and not depending on one technique for result. 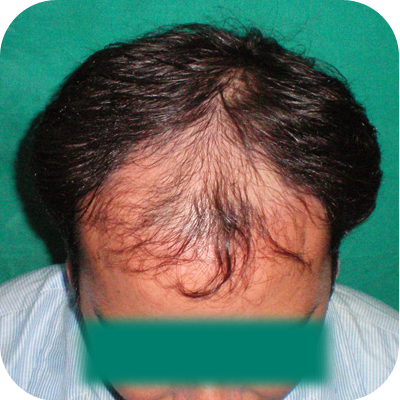 In patients who have demand for more than 5000 grafts a single technique cannot guarantee good result and with no donor site problem. in order to overcome the donor site limitation in one technique we do both FUT and FUE in one patient and to achieve good result with no donor site problem. Suppose if we do only FUE for more than 5000 graft in a single patient then there will be decrease in density in the donor site in some patient it can be remarkable as to cause a problem. If we do only FUT for more than 5000 grafts then the donor scar will stretch and may be hypertrophied and may become visible. In order to avoid these problem we take advantage of both the technique and combine both FUT and FUE so that there is no donor site problem and we can extract more than 6000 grafts in one patient. Nowadays with mega hair transplant technique we can do the procedure in single setting so that the morbidity is decrease and patient has to take off from work once only. With the increase in hair loss among young population the mega hair transplant is being routinely done by Dr. Gambhir. We pioneered the use of mega hair transplant technique. At our facility we carry out successful hair transplant in the patients with the requirement of more than 7000 grafts. Only at our clinic you will find the facility of using grafts from any body part for successfully completing the procedure. We believe in creating good density for which we plan, discus and guide the client throughout the procedure so that he/she can make informed choices and have best results. Our photo gallery includes proven results in the form of authentic pictures (before and after treatment) of our various clients.